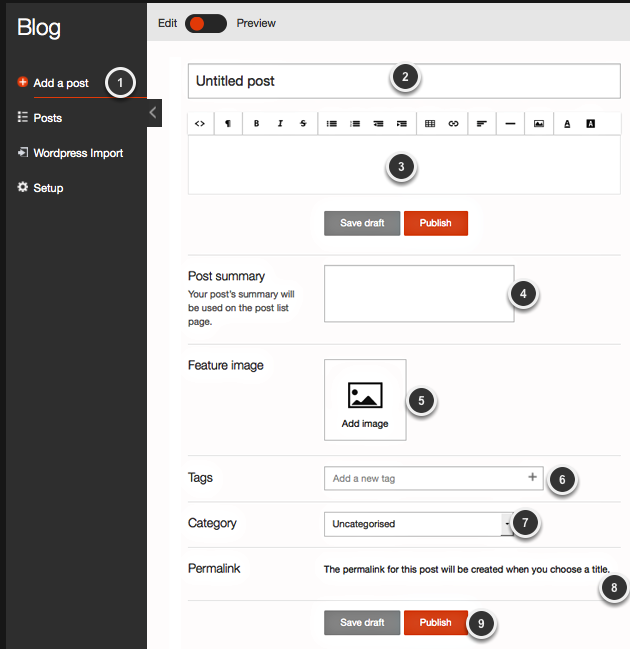 Your posts will only be available for everyone if the status of your blog is set as Online. Click on the Posts link on the left menu and you will be able to see a list with your posts and whether they have been published or not. To publish, unpublish or delete a post, tick the box by its side and then click on the right button at the top. 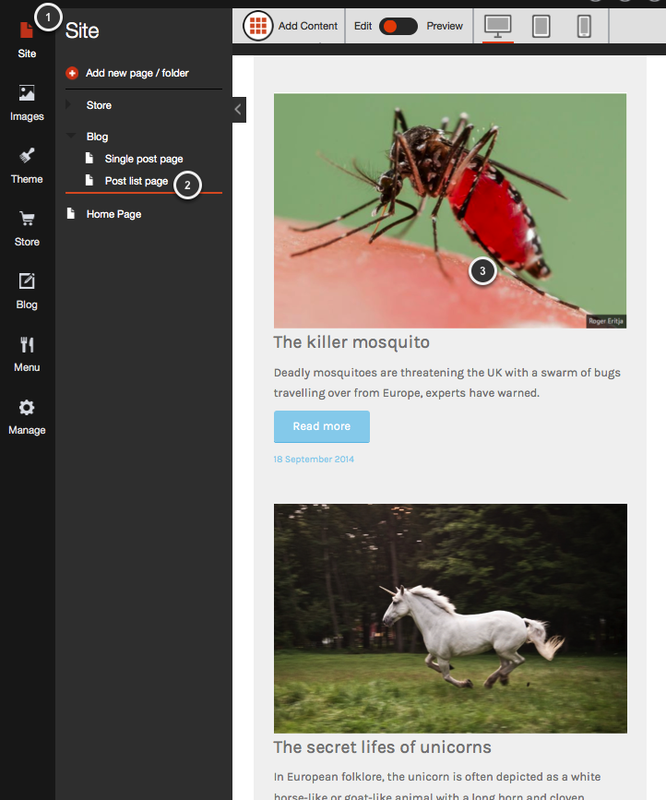 The Post List Page shows a list of all your posts with the image, title, summary and a 'read more' button. The appearance of this page is determined by the template you have chosen and you can't change the disposition manually.